Whenever you need high quality fixtures for your house, commercial property, or institutional setting, you can turn to Intex Windows & Doors to help you find the best solutions for your needs. We truly want to make your life easier and more special, and we think that the doors, windows, and their associated hardware that you can add on will do just that. Regardless of whether you need a Windows Replacement In Los Angeles, or want fixtures to go on a newly constructed house, we most likely will have something that you need. It is always in your best interest to have a solid idea of what you want when you first come to peruse the website, though it is not necessary. You likely will see products in our catalog that you have only dreamed of before. Intex Windows & Doors carries items from brands such as Fleetwood and Milgard, who have been in the industry for many years. We are a trusted distributor that has been around for a decade and serves Los Angeles and the surrounding areas. We love to give back to the community in which we live and work, as we are based in Glendale. If you are just as passionate about supporting your local communities as we are, then you really can get behind the mission of Intex and purchase these amazing fixtures. You should talk to a representative if you determine that there is nothing within the catalog that is suited to your tastes or unique needs, as we are willing and able to put together customizations for you. This is something that not all companies do, so you are sure to be pleased shopping from us. One of the many series that we are proud to present to our customers is the Milgard Essence Wood Windows series. They are classic in design, durable and made to last for many years, and also will bring a bit of simple elegance to any home. They are one of the top selling products from Intex Windows & Doors. These windows are energy efficient, meaning that they will keep out the cold and heat, as well as prevent cool air and heat from escaping. You can save money on your electric bill this way, which is especially a big deal if you are raising a family or running a business that already costs you a great deal of funds. We proudly stand by these products as a sign of our commitment to serving customers on a daily basis, helping each and every one of you feel confident and comfortable. It is not every day that you get to say this about a company, and we think that you will find that you are very happy shopping for Windows Replacement In Los Angles and more from Intex. If you are interested in finding out more about what we offer to our customers, read the many reviews and testimonials that are here on our site, as well as in other locations around the Internet. Once you are feeling more confident, reach out and ask us for a free on-site estimate to get started with the whole process. Enjoy shopping with convenience from a reliable company. Times have changed and gone are the days when consumers would purchase windows just to fulfill an obligation while setting up their new home. Windows now play an integral role in enhancing the aesthetic design of your house, setting it apart from all the other houses on the block. However, not everybody can spend all their savings on beautifully crafted windows. Well, if you are looking for Windows Replacement in Los Angeles, you are in luck because we, here at Index Windows, offer a range of discounts and offers like no other Milgard dealer in town. Today’s budget and energy conscious consumers are always looking for ways to cut costs. Opting for the right energy efficient windows can minimize the costs of heating and cooling in the long run. Before you go on an ultimate shopping spree, it is imperative you know what you are looking for hence contact us at Index Windows to get the best deals in terms of pricing and installation. Do prior research and find out just how cost effective new units would be. This can be done by conducting home energy audit, also known as home energy assessment. Home energy audits identify problems that lead to wastage of energy. Such problems can then be corrected to make the home more energy efficient before you embark on a full replacement window renovation. Energy efficient windows can make a dramatic difference to any home. Modern window frames can cut down air infiltration to almost zero. Check out a range of affordable Milgard windows in Glendale. Milgard offers its consumers numerous styles to choose from. Depending on the weather and the overall architecture of your home, you can invest in new Wood Windows Los Angeles. Wooden windows will add depth and beauty to your home. Wood is among the most common materials used for residential windows today because of its versatility and excellent insulation properties. 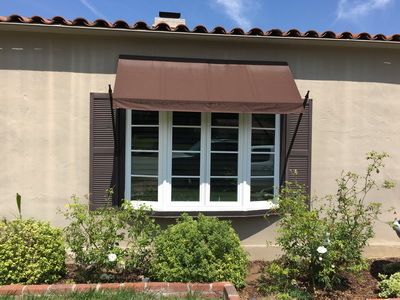 Other options for Window Replacement in Los Angeles include windows made from vinyl, woodclad, fiberglass, aluminum and new amazingly designed Milgard Essence windows and doors. Because it is time to go green, we at Index Windows offer environmentally friendly replacement doors and windows.